Sunshine on Mount Baker. Original painting in acrylic on canvas, 40 x 32 inches, $800.00, plus tax, shipping, and handling. 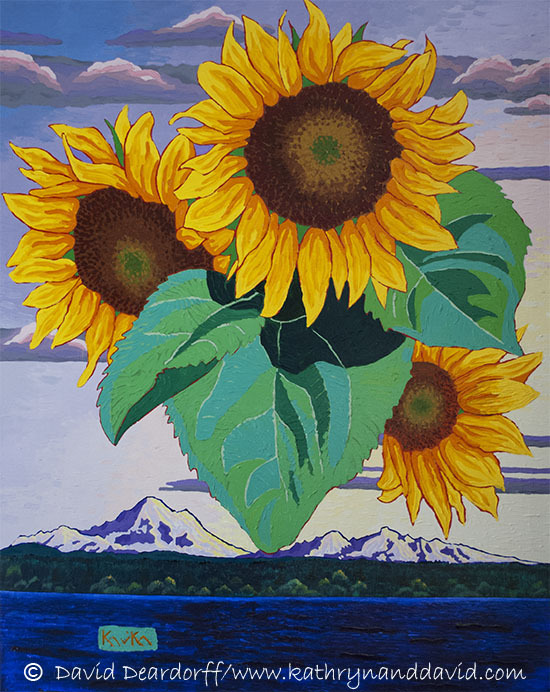 Mount Baker at sunrise with a trio of sunflowers floating over Admiralty Inlet in Port Townsend, WA.